Elif Songür Dag is a a designer and lecturer who loves to work especially on illustration. Her most recent work is on scientific illustrations. 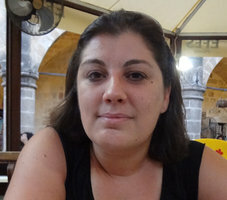 She has completed her PhD in Art at Hacettepe University, 2011. Her dissertation is about scientific illustration and it's use in children picture books. Elif Songür Dag is also a children books illustrator. There are more than 15 books that she has illustrated and designed for leading publishers at Turkey. She tells "Gorki has said that (as authors) they have to write better for children, so we have to illustrate for them better as well".